"… [Hindman] uses elements of contemporary compositional styles, applying them as needed to realize her ideas. … This gives her work a nice expressive flexibility, which is ideal for an artist like Hindman who keeps her intentions, and her heart, upfront." 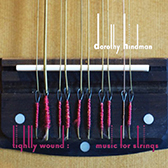 Miami-based composer Dorothy Hindman’s music has been described as "bright with energy and a lilting lyricism" (New York Classical Review), "dramatic, highly strung" (Fanfare), "varied, utterly rich and sung with purpose and heart" (Huffington Post), and "powerful and skillfully conceived" (The Miami Herald). Her music is inviting, yet wholly new. The driving rhythms of her punk and rock background provide surface level impact, while deeper emotional and intellectual levels arise from her impeccable classical technique, the aesthetic and philosophical questions she poses about society and life, and the elegant, unique music vivifying those questions. Spanning 16 countries and 30 states, her over 400 performances include Carnegie Hall, the United Nations, Jordan Hall, the American Academy in Rome, Amsterdam’s Muziekgebouw, Berlin’s BKA-Theater, and Miami’s Adrienne Arsht Center. Festival appearances include the Havana Contemporary Music Festival, Australian Flute Festival, Birmingham New Music Festival, Nuovi Spazi Musicali Festival, Imagine, and many others. Hindman’s awards, recognition, and adjudicated performances include three Gold Medals in the 2017 Global Music Awards, 2017 ISCM/New Music Miami, 2017 Boston Microtonal Society, Iron Composer 2015, a 2015 Artist Access Grant from the Miami-Dade County Department of Cultural Affairs, a 2015 University of Miami Provost Research Award, NoteNova Choral Competition, Almquist Choral Composition Award, Nancy Van de Vate International Composition Prize for Opera, International Society of Bassists Solo Composition Competition, the NACUSA Young Composers Competition, and many more. Hindman’s compositions for world-renowned musicians include Bent Frequency Chamber Ensemble, Pulse Ensemble, Empire City Men’s Chorus (NYC), Bang-on-a-Can double bassist Robert Black, cellist Craig Hultgren, the Caraval String Quartet (NYC), the Corona Guitar Kvartet (Denmark), the Florida Orchestra, the Alabama Symphony, the Brevard Symphony Orchestra, and multiple national youth and university orchestras. Her guest teaching and residencies include the 2018 Charlotte New Music Festival, a 2017 Seaside Escape2Create Fellowship, the 2017 and the 2016 Miami International Piano Festival Academy, the 2016 Summer Composition Intensive, the 2015 AmiCa Credenze POP Festival, American Academy in Rome Visiting Artist, and Visby International Centre for Composers, Sweden. 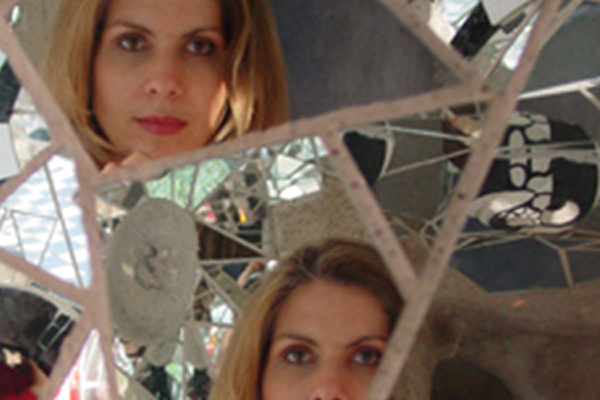 Hindman is Associate Professor of Composition at the Frost School of Music, University of Miami. Her eleven CDs include Tapping the Furnace (innova 848) and Tightly Wound (innova 965). Hindman’s music is published by Subito, dorn/Needham, and NoteNova. "Hindman’s [Setting Century Symphony] is ingeniously crafted… an imaginative essay in orchestral rhythm and color. 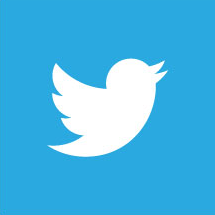 …As the winds and strings branch out to broader, more complex patterns, the overall effect is powerful. Dance-like themes give the entire orchestra a good workout ... An episode for winds exploits the individual instruments’ timbres in striking fashion." "If you love classical music, if you wish to be taken in by new music which is varied, utterly rich and sung with purpose and heart, you will love Prothalamia. ... [Hindman’s] Credo ... is the highlight for me, so rich it should become the It wedding song for straight and gay people ..."
"Dorothy Hindman’s solo piano “Forward Looking Back” combined the freedom of Charles Ives with the shimmer of Claude Debussy, without mimicking those composers. 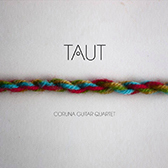 Its allure lies with its passion and lyricism, which seem to bound past any stylistic restraints." 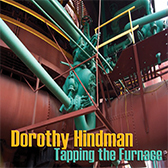 "... Hindman, who for some time has been one of the hopes of contemporary chamber music not only on the Miami music scene but in a much broader context, ... expresses extraordinary glimpses into interesting topics, concepts of modernity and structured complexity ... [her] CD Tapping The Furnace represents a remarkable discovery."